It’s been a while since the last post. 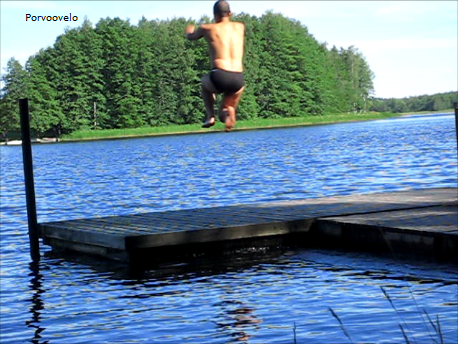 Time to catch up 🙂 Despite the sun being reluctantly shy the past month, I decided to take a refreshing dip in a lake nearby. 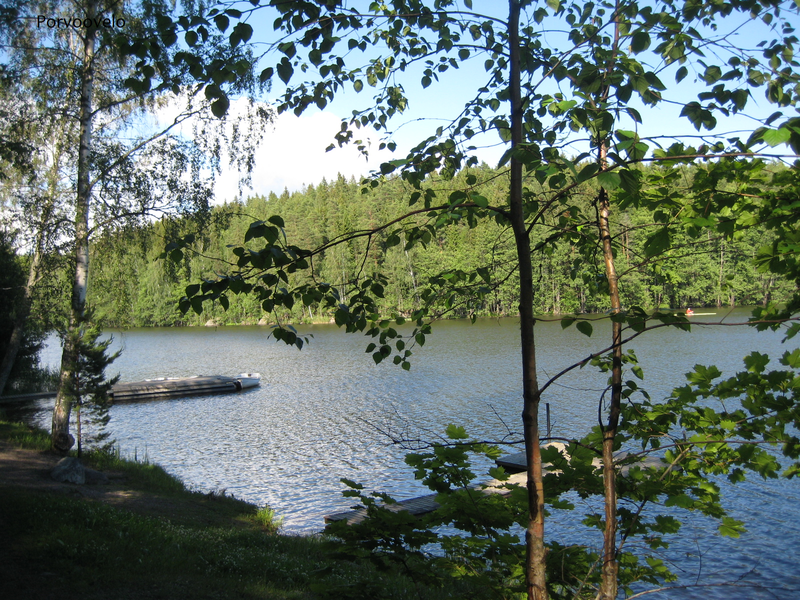 There are quite a few natural bathing beaches around Porvoo and one I gladly recommend is Staffas, at a mere 5km from the centre of Porvoo. 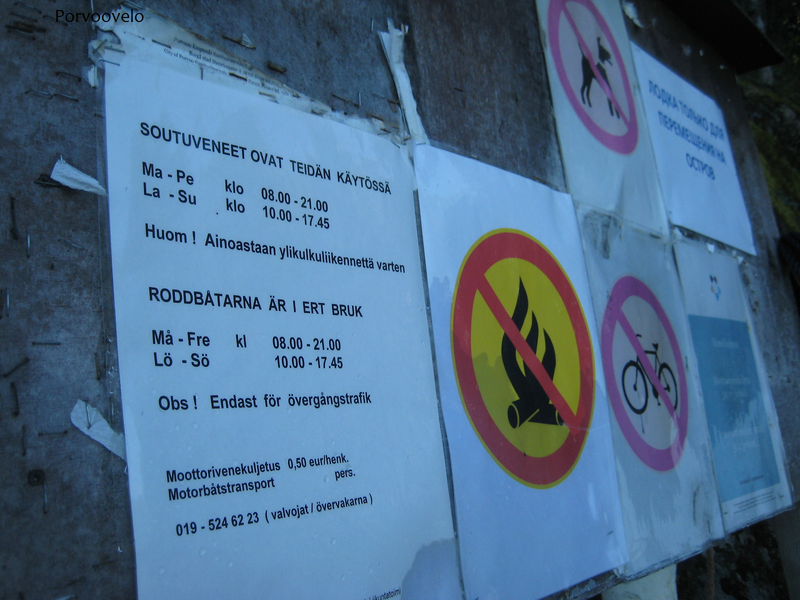 Grab your bike from the Porvoo tourist office, underneath the bridge, and start riding along Mannerheiminkatu (one of the city’s two main streets) in the direction of the town of Loviisa. 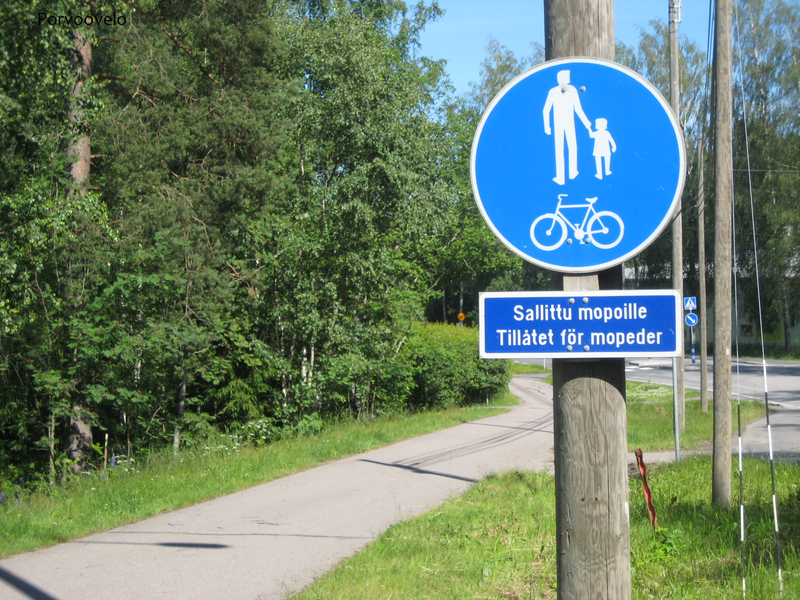 Make sure you keep riding on the left side of the cycling path, allowing the pedestrians to walk on the right. At times this area may be busy (as the picture won’t show here) and neither pedestrians nor cyclists will necessarily pay great attention to which lanes they ought to be walking or cycling on. The street goes slightly uphill, but as you may have to stop at several crossroads your legs will barely feel the strain. Go straight on and as you leave the city centre you’ll notice a gradual change in the city landscape. Two-storey detached houses with their mansard roofs and nice gardens are typical of this district. We owe this area to Finnish architect Bertel Jung, who planned it in the early 20th century. 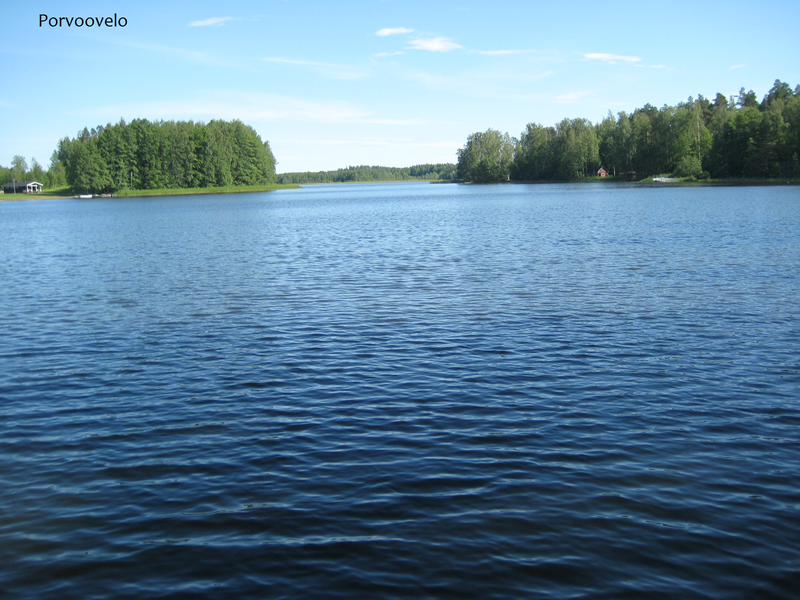 At one point, you cross Sibelius Boulevard; you’ll see it on your right. Make sure you feast your eyes on this particularly interesting and uniform area with its carefully aligned trees and big wooden-frame houses! 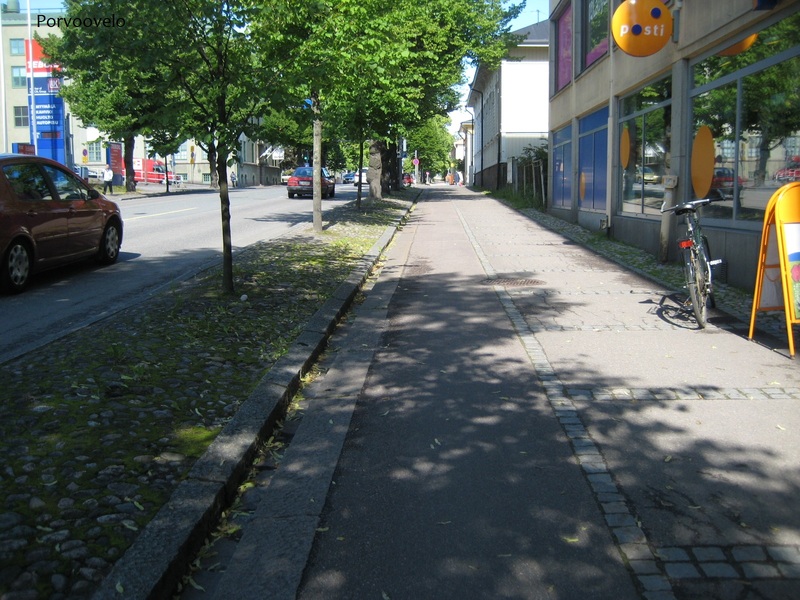 Continue straight on along Loviisankatu and note the coloured lanes of the pavement! You are still advised to ride on the left side, despite the lack of pedestrians here. 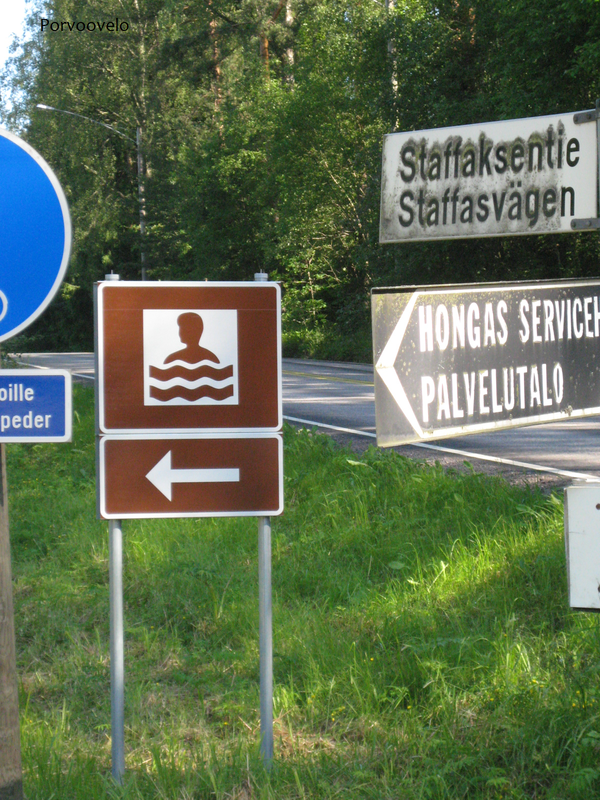 Upon arriving at the signpost “Isnäs” you turn to the right and then immediately to the left, following the same signpost. You now enter the area called Tarmola, a more industrial part of the city. Ride for about 300 meters and oh, wow! 🙂 this is the place where they produce chocolate…yummy! 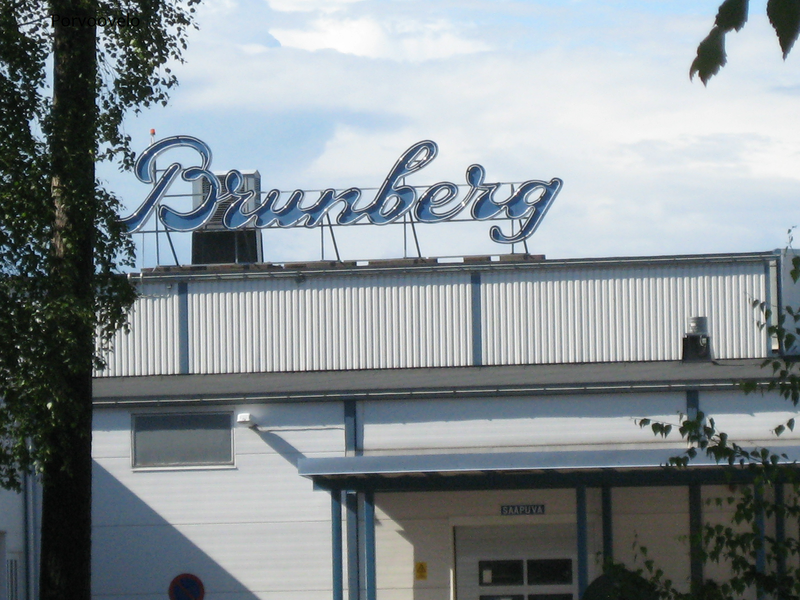 You may just want to pop into the Brunberg shop on your way back! 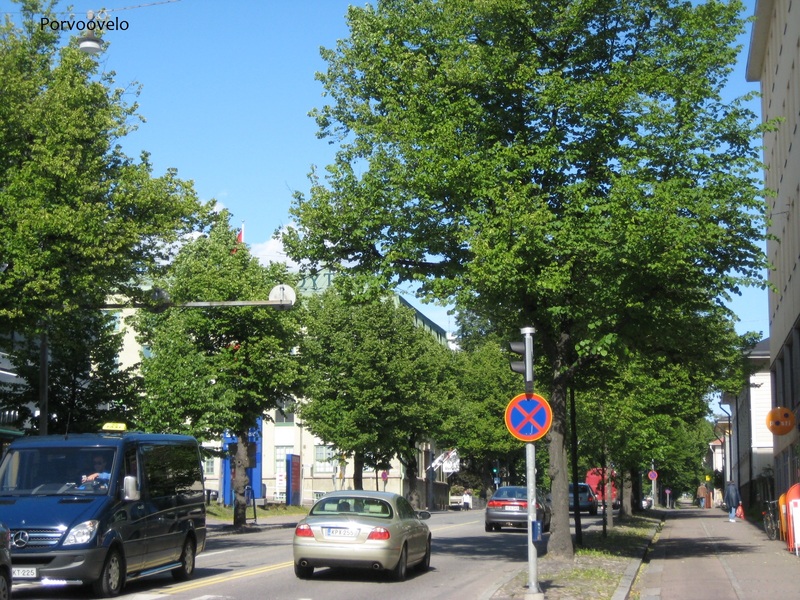 Arriving at a roundabout, cross the street to the left then immediately cross to the right and continue to Isnäs. You now have to ride on the left side of the main road. Don’t worry! 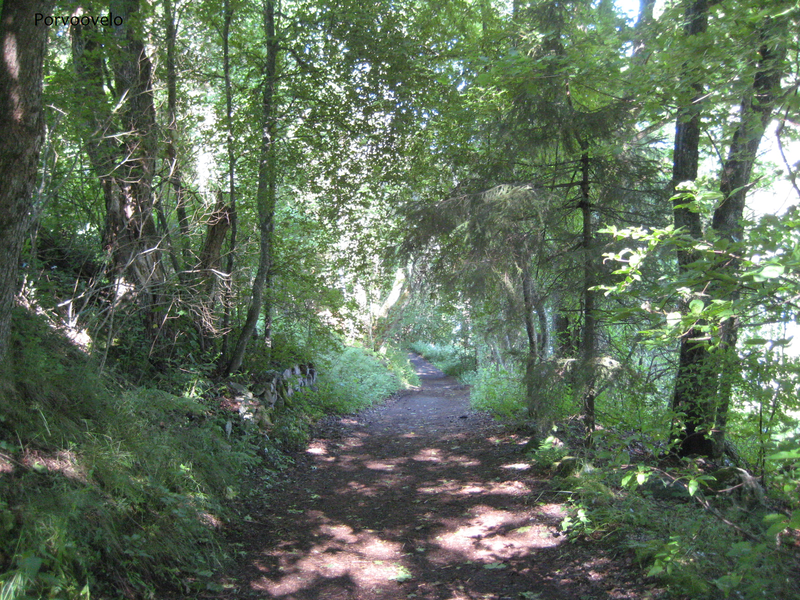 The cycling path is wide and away from the motorized vehicles. 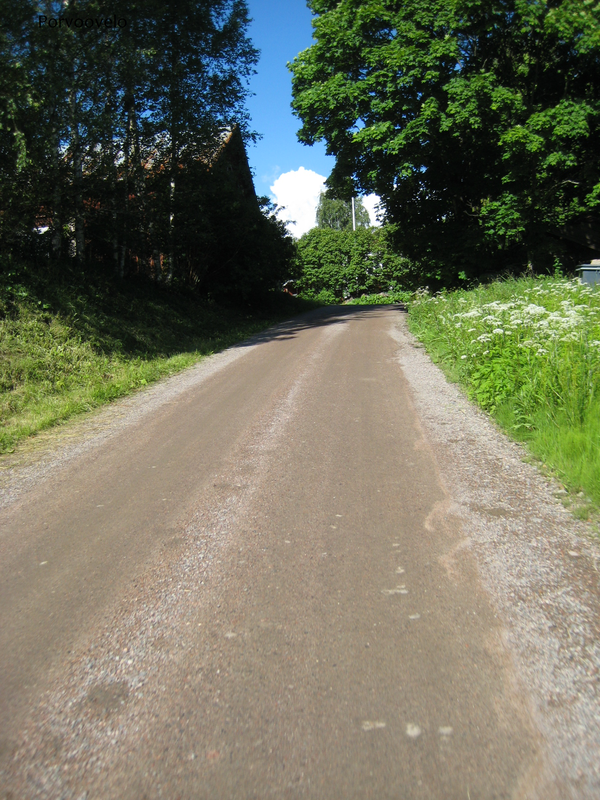 This is something I like about most Finnish cycling paths: they are designed to be separated from the main road by at least 10 meters! 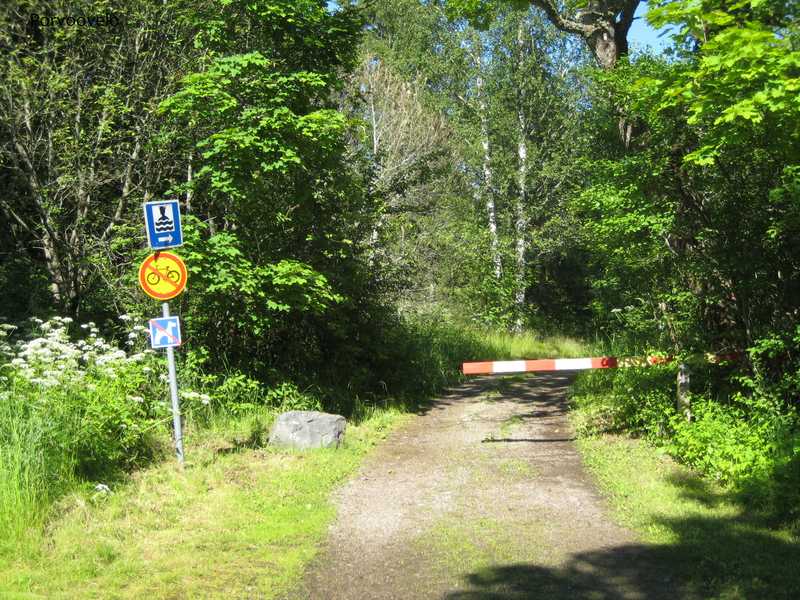 After a good 2.5 km along the cycling path, going mainly down and slightly up, you’ll notice the signpost for the swimming area. You now ride on the gravel path. It goes up so take it easy 😉 but when the sun is shining even a small hill is fun to ride up, isn’t it? 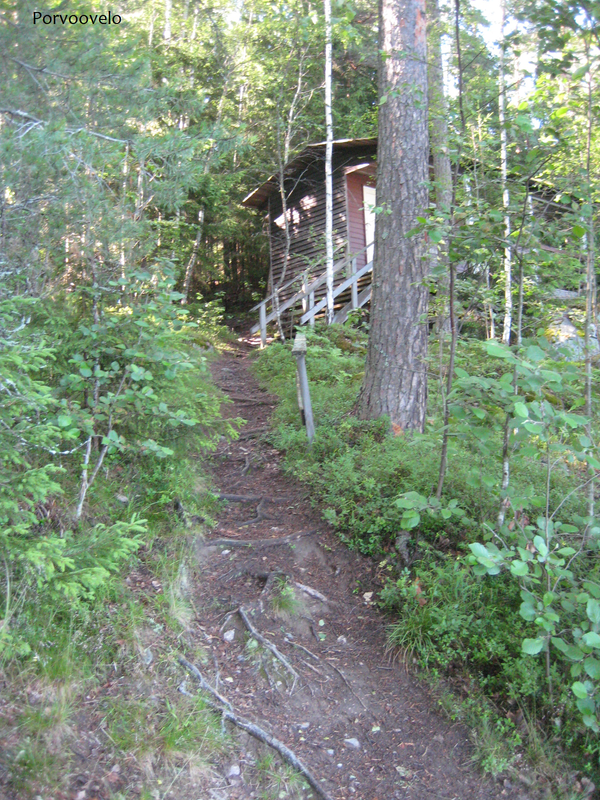 Continue along this path, passing a street on your left as well as a centre for elderly people (Hongas palvelutalo). Your ride is about to end after a few hundred meters, at a parking place. Attach your bike to the bike rack and continue on foot down on a forest path to the swimming area. The place called Staffas is actually home to a manor, with fields and forests totaling 70 hectares in area. Upon my arrival I only saw fields, trees and a neatly and freshly mowed lawn, I surely failed to spot the manor! Anyway going down the path to my final destination of the day I sense by the freshness in the woods that I’m close to water. 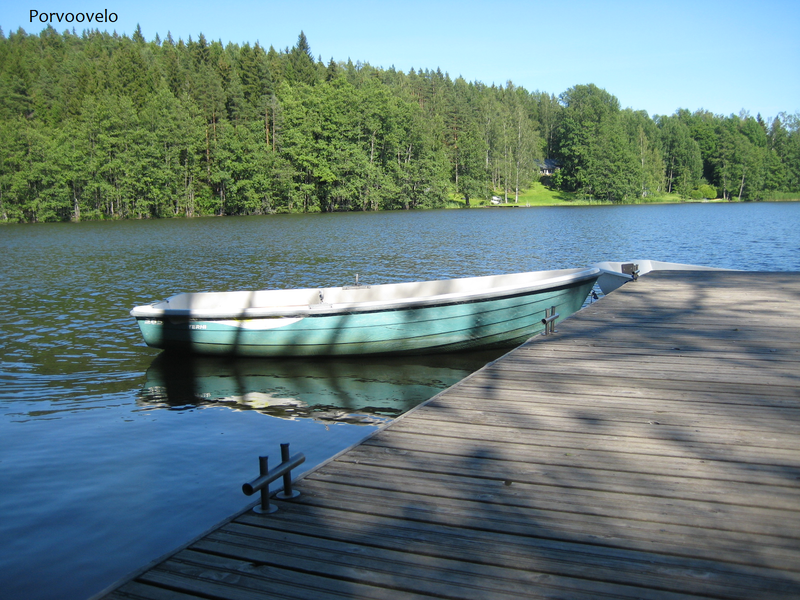 I did not intend to follow him, although I saw two small boats attached to the jetty. 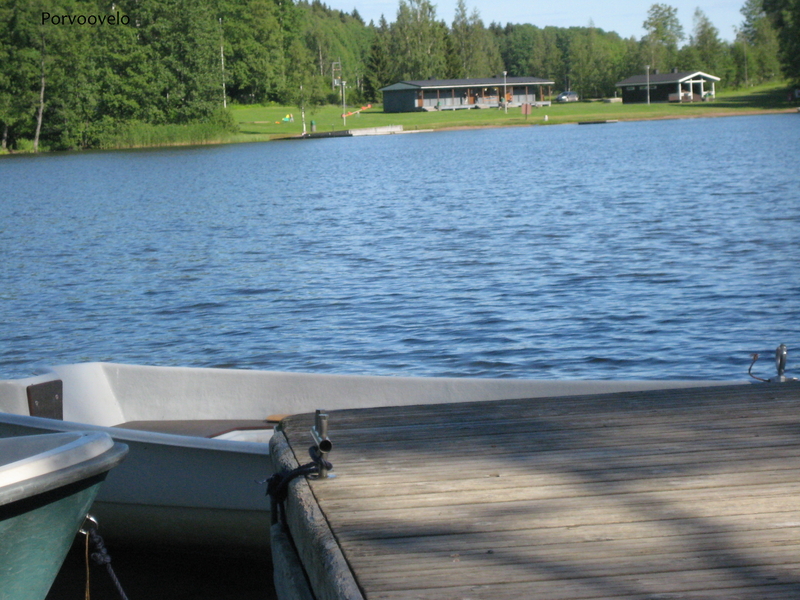 You can use the boats for the sole purpose of crossing the lake to Hasselholm beach, giving your arms a workout for about 200 meters. On the other side there are changing rooms, toilets, showers and a supervised beach. There’s even a cooking shelter and playgrounds for kids. Definitely a summer destination for city people of all ages! ..such a nice afternoon view from the pier! I glance upon the hill behind and see a cabin up in the woods. 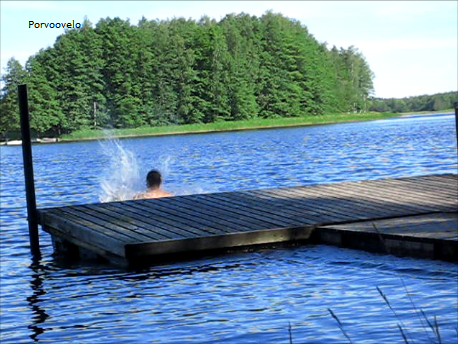 There’s a path going up to this cabin, and here you can put on your swimsuit before coming down to the pier on the shore and taking a dip in the clear water. Well, hum, it’s quite muddy up there! Besides there are hundreds of ants (and pretty big by Belgian standards…) busy carrying and working their way up and down so I guess I’m going to put on my swimsuit on the bench here by the shore instead. The bottom is here more gravelly, whereas it’s more sandy at Hasselholmen. At this place the lake shelves deeply right from the edge. 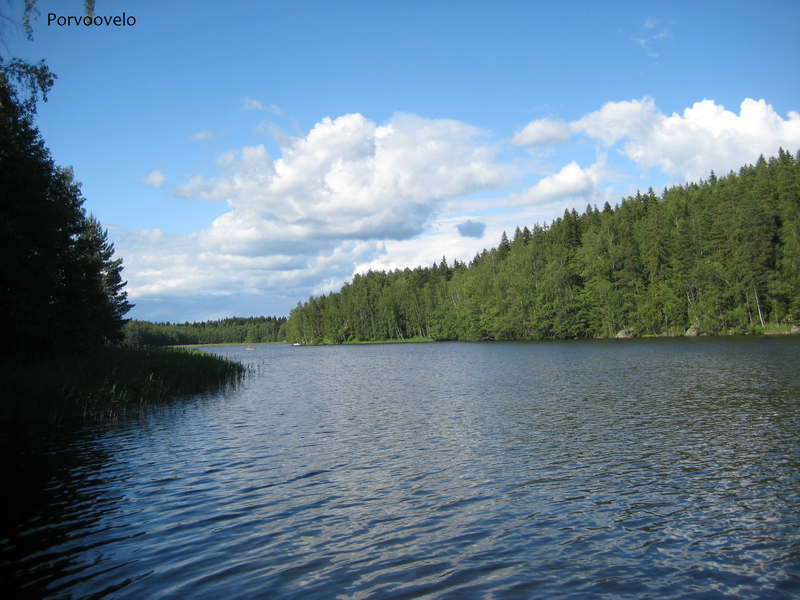 This area of the city is called Velkala / Velskog. 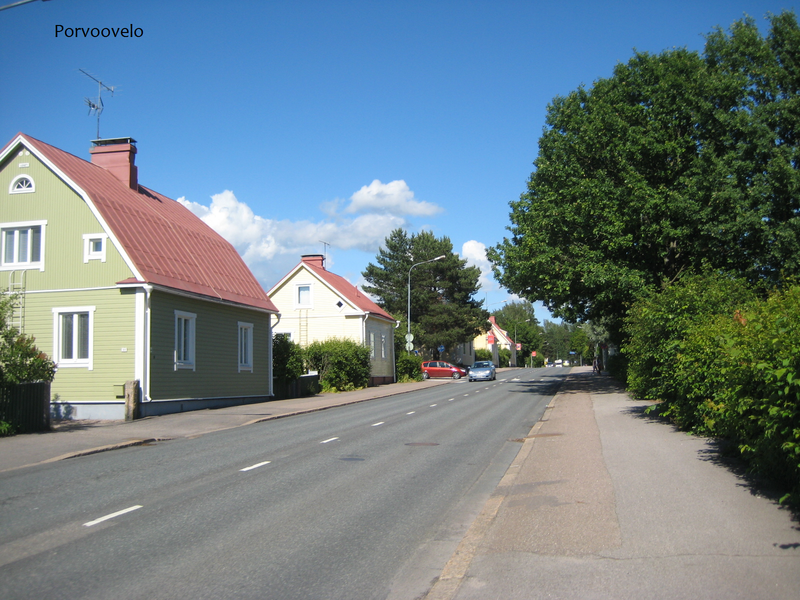 The main street with its detached houses is cut with narrow streets for fire prevention purposes. At the end of Wittenberginkatu, at the crossroads, the street turns right. You may cross it here and continue on the other side: you are now on Aleksanterinkatu. 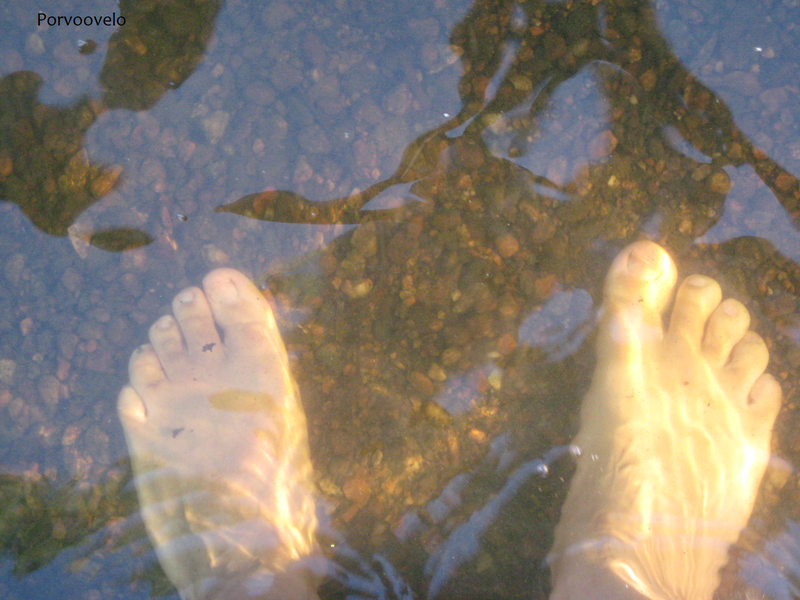 Follow it until it reaches the bridge by the river, you’ll cross at least five crossroads. Don’t go over the bridge, but turn right and you are now on the riverbank. 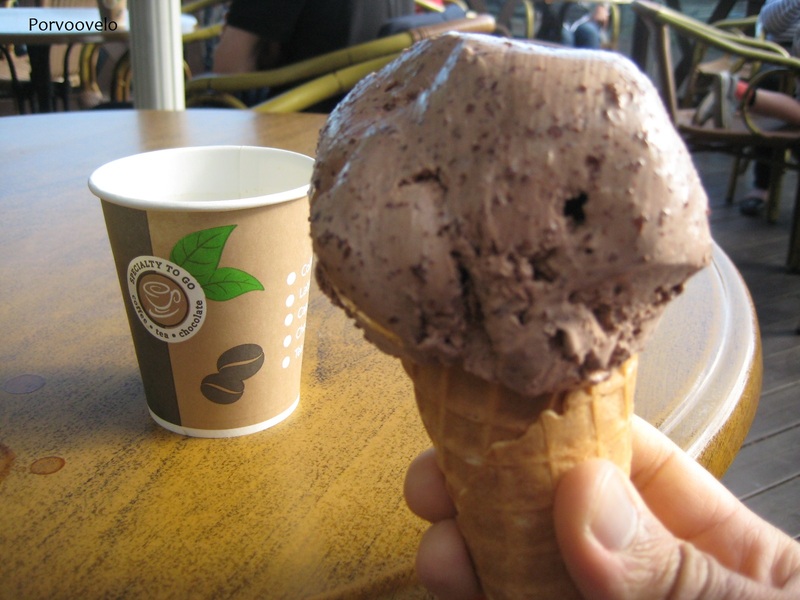 Choose among one of the “kioskit” where you’ll get your ice cream!